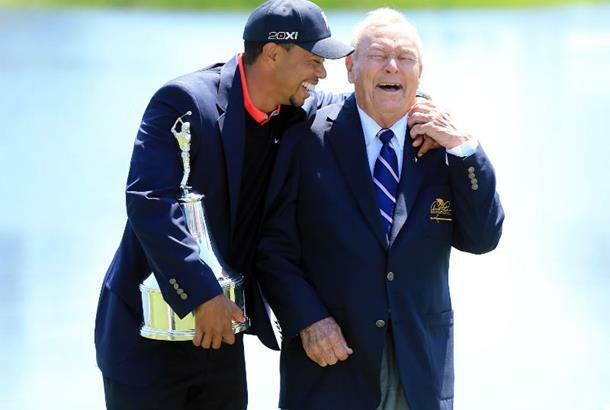 The PGA Tour heads to Bay Hill for the Arnold Palmer Invitational this week, and all eyes are on the eight time champion as he returns for the first time since 2013. Here's who to watch, and how to watch this week. After Tiger was pipped to his 80th PGA Tour title at last week's Valspar Championship by Paul Casey, all eyes are firmly on the Big Cat to see whether he can go one better at a venue where he's lifted the trophy eight times. It's a lot of expectation to pile on a man who has played just five events after a fourth back surgery that resulted in a fused spine, but so far that excitement seems justified given his performances over the last few weeks. And never mind that he hasn't teed up here since 2013, because he hadn't teed up at Innisbrook before last week since 1996 - and he did O.K there. Woods, whose T2 at last week's Valspar saw him record his first runner up finish since he tied for second at The Barclays in 2013, has jumped from 666th to 149th in the World in a matter of 3 months, and last week recorded the fasted clubhead speed (129mph) of anyone in 2018. He hasn't competed at Bay Hill since receiving the trophy from the late Arnold Palmer for the eighth time back in 2013, and should he get the job done this week he would become the first player in PGA Tour history to win the same tournament nine times. However, Woods did tell media to temper expectations slightly, saying; "Just because I won here eight times, it doesn't mean I'm going to win this week automatically. I have still got to do the work. "I have still got to go through the process of getting myself in position, but I understand this golf course, I've played it under so many different varying conditions. "I've got to do some serious homework though and really get to know and get the feel of how this golf course is playing this particular year, considering I haven't played here in five years!" Last year was the first tournament held after Arnold Palmer's passing, and Marc Leishman was given a trademark Palmer red sweater in addition to the trophy (instead of the traditional blue blazer) after his one shot victory over Kevin Kisner and Charley Hoffman. Tributes were a big part of the tournament, with players sporting Palmer's umbrella logo - and Rickie Fowler has already continued the tradition of making custom shoes for the week to commemorate the King this year. 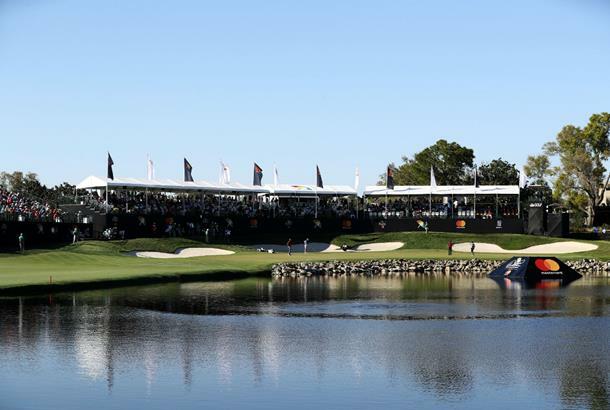 Alongside Fowler, Woods and Leishman, the field is packed with big names in the game, with Rory McIlroy, Jason Day, Justin Rose, Henrik Stenson, Patrick Reed, Adam Scott and Tommy Fleetwood all teeing up at Bay Hill this week. For the second consecutive year, Dustin Johnson, Jordan Spieth and Justin Thomas will skip this week, while Hideki Matsuyama returns for his first tournament back since he suffered a wrist injury. So who has the best chance of lifting the trophy this week? Find out who you should be backing, and how to watch as much of the golf as possible. Tiger Woods: He's the bookies favourite at the moment, and after following his T12 at the Honda Classic with a chance to force a play-off on the 72nd hole of the Valspar Championship, there's a feeling he's got a chance to win his 80th PGA Tour title this week. An eight-time winner here, and is currently ranked 5th for scoring average, 8th for putts per round and 11th for total Strokes Gained. Just needs to have a good week off the tee and hole a few more birdie putts to give himself the best chance. Jason Day: The 2016 AP Invitational Champion has only teed up twice in 2018, but has a victory at the Farmers Insurance Open in February and a T2 at the AT&T Pebble Beach Pro-Am under his belt. He's had four top 5s in his last 7 starts (with his worst finish being T17), and ranks first for SG Putting and ranks 6th for both SG Total and Scoring average. Justin Rose: Started the final round of the Valspar one shot back but fell back to T5 - his second top 10 in four starts of 2018. Runner up here in 2013, and ranks 7th for scoring average and inside the top 20 for SG off the tee and SG Putting. Tommy Fleetwood: Fleetwood has two top 10s and a victory in 2018 already, and finished T10 in his debut here last year. Was T14 at the WGC Mexico (his last start), and is ranked 2nd in SG Tee-to-Green and 4th for scoring average. Alex Noren: Followed his runner-up finish to Jason Day at the Farmers with a 3rd place at the Honda Classic and a T14 at the WGC Mexico so he could be a really solid shout this week. Was T49 here last year, but does rank 8th in both SG Tee to Green and Off The Tee, as well as 3rd in scoring average. Tyrrell Hatton: With the exception of a solo MC at the Honda Classic, Hatton has seven top 10s in 12 worldwide starts, including two victories and two 3rd-place finishes in his last three tournaments (WGC Mexico and Omega Dubai Desert Classic). Finished 4th here in his first appearance here last year. Marc Leishamn: The defending champ last finished T37 at the WGC Mexico, but he does have two top 10s in 2018 and came from behind to win last year - so we'll not rule him out. Best stats are that he ranks 10th for birdie average and 12th for putting. Adam Scott: T16-T13 in his last two starts at the Honda and Valspar Championship and poised for a good week. Was T12 here last year, and ranks 1st for SG Tee to Green and 6th for SG: Approach to the green. Needs to get the putter hot, as currently ranks 202nd in overall putting stats. Emiliano Grillo: Led last week's Hero Indian Open before having a nightmare third round, but still finished 6th, which followed a T8 before that at the Honda Classic. In two starts here has gone T17-T7, and is ranked 9th in SG off the tee, 18th in SG Putting and 13th for greens in regulation. Henrik Stenson: His four starts in 2018 have been MC-T60-T6-8, so he'll be hoping to regain the form he had at the beginning of the year this week, and it's a venue he's typically performed well at. Despite a MC last year, had four top 10 finishes in a row prior to that. Rickie Fowler: Another player with a very mixed start to the year following his victory at the Hero World Challenge in December, so while he is a bit of a riskier bet he did finish 12th here last year and T3 in 2013. Rory McIlroy: After his T3-2nd start in Abu Dhabi and Dubai, he's had a difficult start to his PGA Tour season, going MC-T20-T59-MC and clearly struggling on the greens. Still, he was T4 here last year and went T37-T11 in his previous two starts.